Description: This contemporary modular group can be put together with or with out the outman. Build it how you need it! 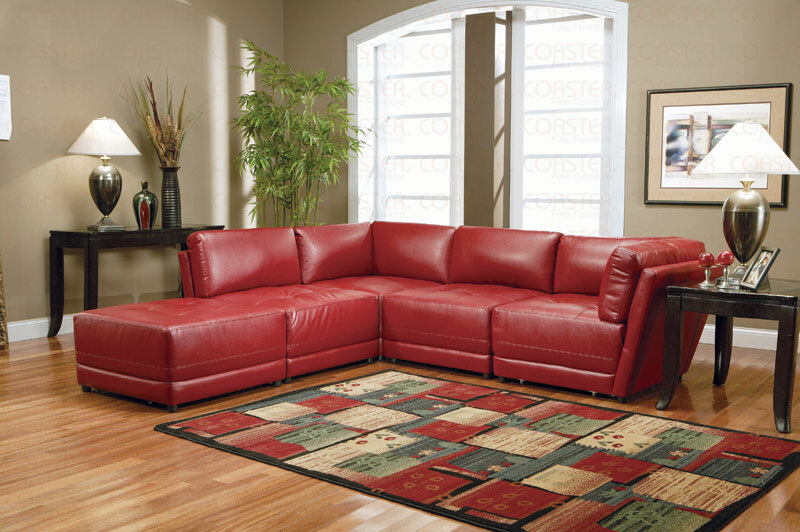 Description: This contemporary modular group comes in 100% white bonded leather or 100% red bonded leather. It is constructed of hardwood frame, sinuous spring and filled with standard foam. Polyester fiber full back.